OXFORD, Miss. 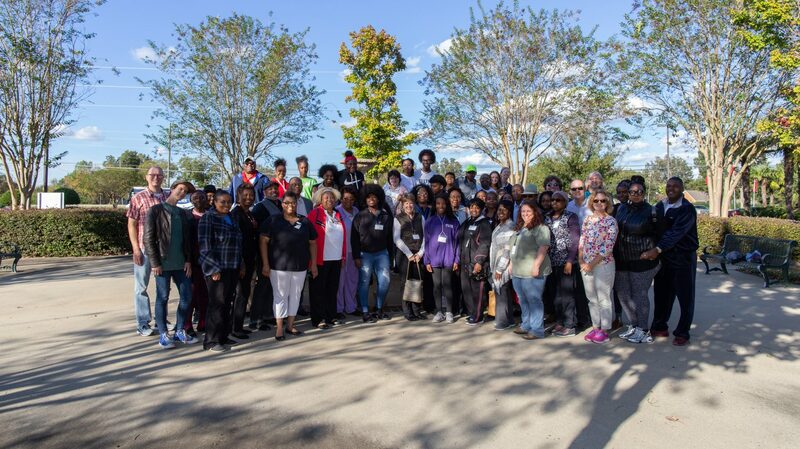 – A group of more than 50 people – including University of Mississippi faculty and students, Oxford high school students and community members – recently visited the Equal Justice Museum and Memorial Park in Montgomery, Alabama. 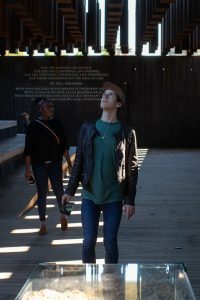 The trip, which took place Nov. 3 and was organized by the UM Slavery Research Group, allowed participants to visit the new museum that examines the history of lynching in America. The trip was organized to take place one week after the dedication of the Elwood Higginbottom memorial in Lafayette County. More importantly, it allowed older community members to discuss historical information about Oxford and Lafayette County with high school students. The creation of the Equal Justice Museum and Memorial Park was driven by the Equal Justice Initiative, founded by Bryan Stevenson. The best-selling author and social justice activist delivered the keynote address during the university’s Fall Convocation in 2017.